Bilstein B4 OE Replacement (Air) shock absorbers and suspension air springs are designed to replace the original air suspension systems on many Mercedes-Benz, Jaguar, Land Rover, BMW, Porsche and Volkswagen vehicles. Bilstein is an OE supplier for air suspension systems; you can rest assured that the quality of these products meets, and typically exceeds, the standards set forth by the vehicle's manufacturer. 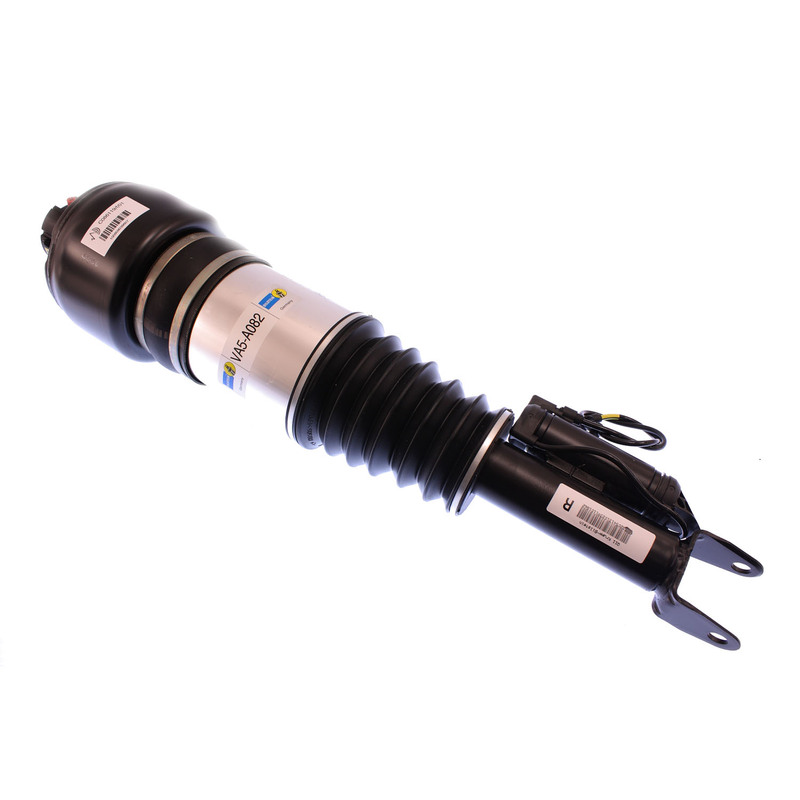 Bilstein B4 OE Replacement (Air) shock absorbers and suspension air springs are designed to connect directly into the original plugs on the vehicle, ensuring modification-free installation and restoration of the original feel of the vehicle. Bilstein engineers worked closely with Mercedes-Benz to develop a top-of-the-class suspension for their top-of-the-line models and the result is the B4 OE Replacement (Air) suspension system. The Mercedes-Benz S-Class (W220/C215) has this system to thank for its famed driving comfort and is also one of the world’s first series production vehicles to be equipped with active springs and dampers. In the world of OEM and aftermarket suspension tuning, the Bilstein name needs no introduction. Bilstein offers the best possible performance in suspension technology. The brand was established in 1873 as a manufacturer of window fittings but only gained automotive recognition in 1927 when the brand supplied chrome-plated bumpers for automobile production. But when Mercedes-Benz decided to install Bilstein gas pressure shock absorbers for the Monte Carlo Rally back in the late 1960s, the Bilstein name quickly became the go-to brand for top-notch shock absorbers. It goes without saying that the brand won at their very first attempt at motorsports and is now one of the world leaders in automotive suspension technology. Bilstein shock absorbers are known for their monotube upside-down technology. This allows the piston rod to be placed at the bottom of the shock tube body to offer better control. They are also equipped with wear-resistant chromium tubes and low-friction bearings to deliver smooth and uncompromising performance whether on the street or racetrack. Give your car the best suspension kit that money can buy with Bilstein suspension kits, shock absorbers, and performance struts. Bilstein shocks and suspension kits are available for almost all makes and models of domestic and import cars and trucks so you can travel in dependable comfort and style. Sam’s Motorsports is home to a wide variety of Bilstein shocks and struts including the Damptronic suspension kit, B14 SS kit, B12 Pro-Kit, 4600 steering dampers, 5100 Series adjustable shock absorbers, and B12 Sportline suspension kit. We offer all Bilstein shocks at friendly and affordable prices so your vehicle can enjoy the benefits of German technology without breaking the bank. 2003-2003 Mercedes-Benz E Class Bilstein B4 OE Replacement Air Suspension Shocks and Springs, The Bilstein B4 OE Replacement Air Suspension Shocks and Springs is designed specifically to fit your 2003-2003 Mercedes-Benz E Class without any modification to your beloved Mercedes-Benz E Class. If this Bilstein B4 OE Replacement Air Suspension Shocks and Springs is not exactly what you are looking for to accessories your 2003-2003 Mercedes-Benz E Class, please don't give up just yet. Our catalog has huge variety of parts and accessories for your Mercedes-Benz E Class.